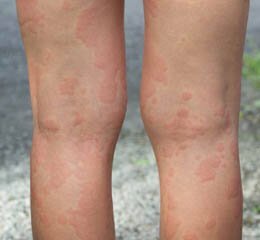 One of the scariest things that a parent can face is a child with severe allergies. You will always worry about whether or not your child is safe from their allergy, especially if it severe enough to require the use of an epi pen. One of the best ways that you can guard against this fear is by having epi pens for your child in all of the places that he or she will be. It is important that your child have an epi pen at school, especially if it is a food allergy that they may be exposed to by other children. Most schools have policies about how epi pens and other medications are provided and stored at the school. Your child’s school nurse can give you the information and forms you need to leave an epi pen with them in their office. If you have had an allergic reaction and aren’t sure what caused it, allergy testing is a must. Even if you suspect that you know what you are allergic to, many people find out they were mistaken when allergy testing is performed. 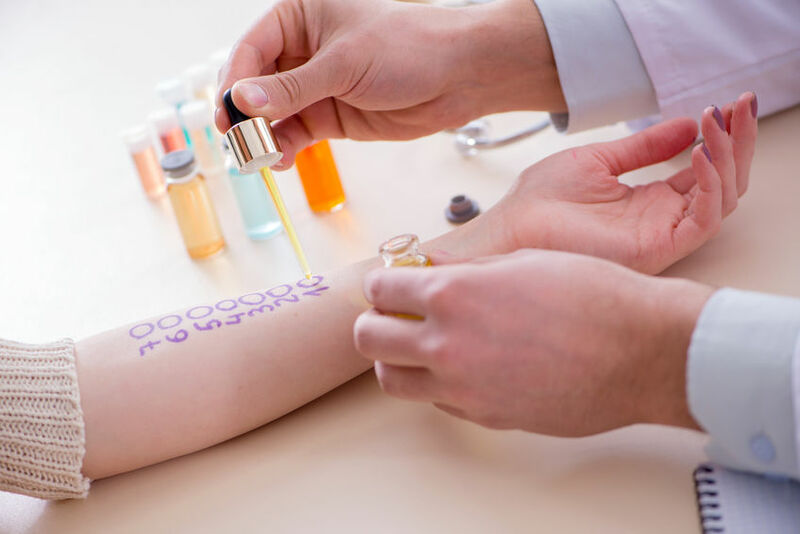 There are two main types of skin testing for allergies—skin scratch testing and intradermal skin testing. Sometimes, both of these tests are performed together. Skin scratch testing and intradermal skin testing are similar in some ways, but very different in how they are performed. With skin scratch testing, the allergens are placed on the skin and then a needle is used to introduce the allergen beneath the skin with a scratch. With intradermal skin testing, the allergen is directly inserted under the skin with a needle. When you go in for allergy testing, the doctor will choose the site for the skin testing. It is usually done on the forearm, although it may also be done on the back. The area is swabbed with alcohol to clean and disinfect the skin before the allergens are introduced. About fifteen minutes after the allergen is introduced, the doctor will take careful note of the results. 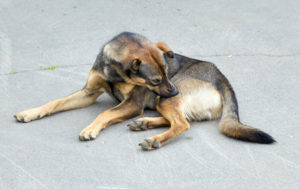 Usually, skin scratch testing is tried first. If you don’t have a reaction to an allergen but the doctor suspects a false negative, they will then use the intradermal skin testing, which can be more accurate. After the skin scratch testing, the area will be cleaned again with alcohol to remove the traces of the allergens. With intradermal skin testing, you may experience allergic symptoms for a few hours after the test, but an antihistamine usually helps with the symptoms. Skin scratch testing is frequently painless for the patient. It really does feel just like a scratch, something barely noticeable. Intradermal skin testing is a bit more uncomfortable, as the needle is actually piercing the skin. It usually presents just as a tiny prick, though, and doesn’t cause a significant amount of pain. Once the allergen is no longer in your system, you won’t have any discomfort at all. If you have had allergies present themselves and you aren’t sure what you might be allergic to, allergy testing can help you cope with your allergies and avoid the allergens that cause them. Contact us today for allergy testing in Florida. Whether it’s the Fourth of July or your birthday, celebrating important occasions with food is a tradition as old as time. After all, what is Thanksgiving without the turkey, or Valentine’s Day without the chocolate? While there’s no doubt that celebrating with food is fun, it isn’t so simply for people with food allergies. 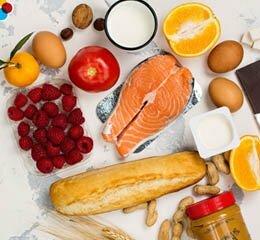 Whether you’re allergic to tree nuts, milk, gluten, or anything in between, eating at holiday parties can feel less like a celebration and more like a minefield. Use these tips to indulge safely at any occasion. It is any host’s goal to help her guests enjoy the perfect party experience. RSVP early and include details of your food allergy. Be polite, not demanding, and explain that you simply want to make sure you don’t put yourself in harm’s way with a delicious snack that is actually an unexpected food allergy trigger. What Allergies Form in the Winter? The spring and fall aren’t the only seasons that can cause uncomfortable allergy symptoms. Winter allergies are far more common than you may realize. 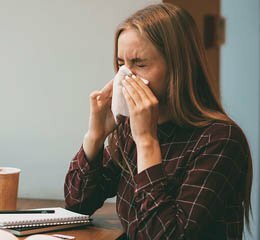 Your itchy eyes, congestion, and headaches could actually be due to allergy triggers unique to the cold season. Here’s what you should know! 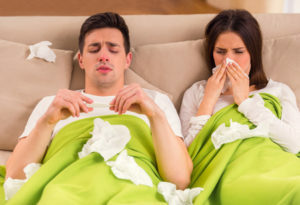 There are few things more comforting than a cold night, a hot fire, and a great book, but it turns out that your fireplace could be causing your allergy symptoms. If you have a real wood fire, the smoke could be acting like an irritant and causing your itchy eyes and sore throat. Gas fireplaces don’t create real smoke, but they can still send irritants airborne. Try keeping your fireplace off for a week or two to observe changes in your symptoms. Turning on your heat for the first time? Be prepared for the airborne dust that your forced-air furnace will spread throughout your home. Lint, fabric fiber, bacteria, animal dander, and food material combine into one large allergy nightmare and travel with your heated air to drive you crazy. Everything from dust mites to cockroach droppings are likely to circulate through your house in the winter. Yuck! Florida’s weather doesn’t reach the freezing cold temperatures needed to stop mold in its tracks. As a result, mold remains just as much a threat in the winter as it does during the spring and fall. Mold can develop indoors or outdoors, and though you cannot control mold in nature, you can certainly use a dehumidifier to control mold in your home. Don’t assume you are stuck with your winter allergies forever. An experienced allergist like Dr. Kratz can evaluate your symptoms and recommend the best course of treatment to kick your allergy symptoms. Call (813) 670-7062 today to schedule your first appointment at Kratz Allergy and Asthma. If you suffer from allergies, you have been living in misery for the past month or two now that autumn has arrived. You’re probably ready to escape your allergy symptoms and start enjoying the cooler weather, so here’s what you need to know about coping with fall allergy season. A full 75% of people who suffer from springtime allergies also experience strong allergic reactions to ragweed in the fall. Ragweed is a yellow flowering weed that starts to bloom in August. It lasts for many months in Florida due to the hot and humid weather. With no early winter frost to kill ragweed, it can linger through the holidays.